(TibetanReview.net, May19, 2016) – China stands to become the world’s largest desert with a third of the landmass of its sprawling empire already turned into arid deserts unsuitable for human habitation or agriculture by unstoppable desertification, reported chinatopix.com May 17. The report added that the greatest amounts of devastation had occurred in the occupied territories of Xinjiang and Tibet where the repression is merciless and the exploitation of land resources, including through reckless mining and deforestation, is ecologically devastating. 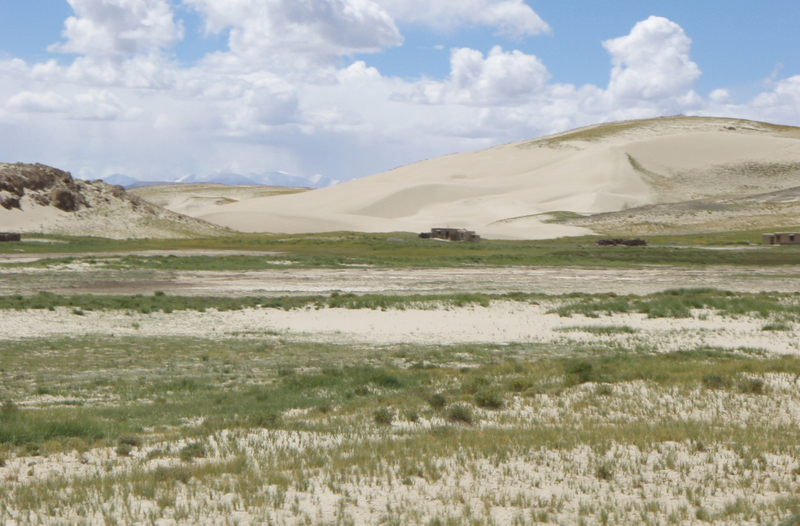 The report added that desertification was now also threatening (Inner) Mongolia, another occupied territory also in the north. It said political stability will become more uncertain in these three problematic provinces as desertification creeps forward. Noting that the advance of desertification was alarming, the report said that over one million square miles or one third of the People’s Republic of China (PRC) was already classified as desert or wasteland. It added that creeping deserts were threatening 400 million people, or close to a third of the 1.4 billion people in the PRC. Desertification was reported to cost China some US$6.9 billion every year. The reported cited Beijing as saying that over the past decade, deserts had expanded 1,500 square miles a year. The report added that since the PRC’s total land area was some 3,700,000 square miles, the desert would engulf all of the PRC in some 2,500 years if nothing effective was done to stop the threat. The report said that while this was still a long way off, the problems triggered by creeping desertification were urgent and dire. It added that though Beijing had mounted extraordinary efforts to reduce the rate of desertification, it had admitted in 2011 that the “desertification trend has not fundamentally reversed,” that it remains this way today. The report cited the UN Food and Agricultural Organization as saying the major causes of desertification were climate change and human economic activities – in other words, the “desertification is largely man-made”. The report noted that China’s State Forestry Administration had identified land desertification as China’s most important ecological problem, with climate change only making it worse.